Provided that if the person, other than an Input Service Distributor, is registered under an earlier law, it shall not be necessary for him to apply for fresh registration under this section and he shall follow the procedure as may be prescribed in this behalf. (3) A person, though not liable to be registered under Schedule III, may get himself registered voluntarily, and all provisions of this Act, as are applicable to a registered taxable person, shall apply to such person. (4) Every person shall have a Permanent Account Number issued under the Income Tax Act, 1961 (43 of 1961) in order to be eligible for grant of registration under sub-section (1), (2) or (3). (4A) Notwithstanding anything contained in sub-section (4), a non-resident taxable person may be granted registration under sub-section (1) on the basis of any other document as may be prescribed. (5) Where a person who is liable to be registered under this Act fails to obtain registration, the proper officer may, without prejudice to any action that is, or may be taken under this Act, or under any other law for the time being in force, proceed to register such person in the manner as may be prescribed. (6) Notwithstanding anything contained in sub-section (1), any specialized agency of the United Nations Organization or any Multilateral Financial Institution and Organization notified under the United Nations (Privileges and Immunities) Act, 1947 (46 of 1947), Consulate or Embassy of foreign countries and any other person or class of persons as may be notified by the Board / Commissioner, shall obtain a Unique Identity Number, in the manner prescribed, for the purpose(s) notified, including refund of taxes on the notified supplies of goods and/or services received by them. (7) The registration or the Unique Identity Number, shall be granted or, as the case may be, rejected after due verification in the manner and within such period as may be prescribed. (8) The proper officer shall not reject the application for registration or the Unique Identity Number without giving a notice to show cause and without giving the person a reasonable opportunity of being heard. (8A) A certificate of registration shall be issued in the prescribed form, with effective date as may be prescribed. (9) A registration or an Unique Identity Number shall be deemed to have been granted after the period prescribed under sub-section (7), if no deficiency has been communicated to the applicant by the proper officer within that period. 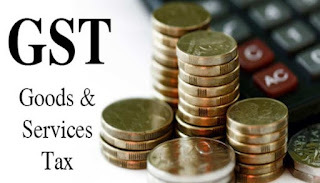 (10) Notwithstanding anything contained in sub-section (7), any rejection of application for registration or the Unique Identity Number under the CGST Act / SGST Act shall be deemed to be a rejection of application for registration under the SGST Act / CGST Act. (11) The grant of registration or the Unique Identity Number under the CGST Act / SGST Act shall be deemed to be a grant of registration or the Unique Identity Number under the SGST/CGST Act provided that the application for registration or the Unique Identity Number has not been rejected under SGST/CGST Act within the time specified in sub-section (7). (12) The Central or a State Government may, on the recommendation of the Council, by notification, specify the category of persons who may be exempted from obtaining registration under this Act. (1) The certificate of registration issued to a casual taxable person or a non-resident taxable person shall be valid for a period of ninety days from the effective date of registration. Provided that the proper officer may, at the request of the said taxable person, extend the aforesaid period of ninety days by a further period not exceeding ninety days. Provided that where any extension of time is sought under sub -section (1), such taxable person shall deposit an additional amount of tax equivalent to the estimated tax liability of such person for the period for which the extension is sought. (3) The amount deposited under sub-section (2) shall be credited to the electronic cash ledger of such person and shall be utilized in the manner provided under section 35. (1) Every registered taxable person shall inform the proper officer of any changes in the information furnished at the time of registration, or that furnished subsequently, in the manner and within such period as may be prescribed. Provided that approval of the proper officer shall not be required in respect of amendment of such particulars as may be prescribed. (3) The proper officer shall not reject the request for amendment in the registration particulars without giving a notice to show cause and without giving the person a reasonable opportunity of being heard. (4) Any rejection or, as the case may be, approval of amendments under the CGST Act/SGST Act shall be deemed to be a rejection or approval of amendments under the SGST Act/CGST Act. (c) the taxable person, other than the person registered under sub-section (3) of section 19, is no longer liable to be registered under Schedule III. (d) any person who has taken voluntary registration under sub-section (3) of section 19 has not commenced business within six months from the date of registration. (3) Where any registration has been obtained by means of fraud, wilful misstatement or suppression of facts, the proper officer may cancel the registration with retrospective effect, subject to the provisions of section 29. (4) The proper officer shall not cancel the registration without giving a notice to show cause and without giving the person a reasonable opportunity of being heard. (5) The cancellation of registration under this section shall not affect the liability of the taxable person to pay tax and other dues under the Act for any period prior to the date of cancellation whether or not such tax and other dues are determined before or after the date of cancellation. (8) The amount payable under sub-section (7) shall be calculated in accordance with generally accepted accounting principles in such manner as may be prescribed. (1) Subject to such conditions and in such circumstances as may be prescribed, any registered taxable person, whose registration is cancelled by the proper officer on his own motion, may apply to such officer for revocation of cancellation of the registration in the prescribed manner within thirty days from the date of service of the cancellation order. (2) The proper officer may, in the manner and within such period as may be prescribed in this behalf, by way of an order, either revoke cancellation of the registration or reject the application for revocation for good and sufficient reasons. (3) The proper officer shall not reject the application for revocation of cancellation of registration without giving a notice to show cause and without giving the person a reasonable opportunity of being heard. (4) Revocation of cancellation of registration under the CGST Act / SGST Act shall be deemed to be a revocation of cancellation of registration under the SGST Act / CGST Act.